Northern British Columbia: A vast, spectacular and accessible wilderness waiting to be explored - very popular with eco- enthusiasts. The Peace River North School District is located in BC on the eastern side of the Rocky Mountains in the northern tip of the Canadian Prairies. Students who graduate from our district are well-prepared for entrance into university, college, trades and apprenticeships or direct entry into the work force. 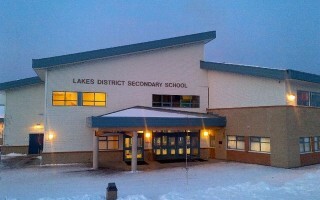 Nechako Lakes School District offers a safe, friendly and caring educational and cultural experience in beautiful rural settings. We offer programs to students from grade five to grade twelve and offer individualized attention to each international student. The area offers many indoor and outdoor recreational opportunities.